Frozen Pipes are No Joke! When the temperature DROPS, Frozen Pipes become the GREATEST risk of damage to property. -that almost 40% of all frozen pipe failure happen in basements? -A 1/8th inch crack spews 250 gallons PER DAY! 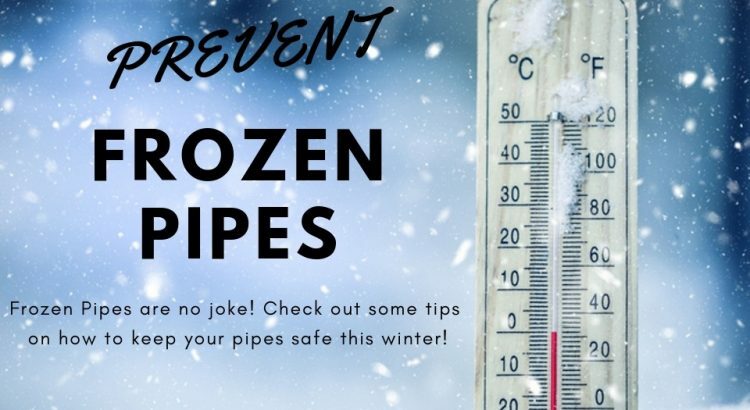 During this cold-snap you can save yourself not only a huge hassle but also a costly one if you keep your pipes from freezing. 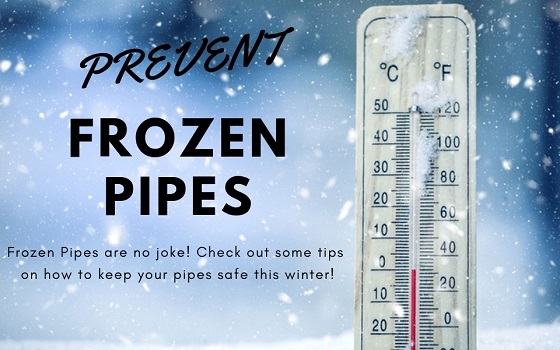 Here are some tips on how you can PREVENT Frozen Pipes. 1: Lower your Water Heater temperature. The higher your temperature the more pressure it creates. Check and see what yours is set at and if it’s higher than 140 degrees drop it down as low as 120. 2: Seal ALL openings in your exterior walls that allow cold air inside. 3: Check interior walls where utilities enter the house and caulk or insulate any openings were cold air is detected. 4: Pipes in unheated areas (Attic/Basement/Storage Closet) should be insulated and for areas that experience harsh winters (Hello Baltimore!) you might as well insulate all accessible pipes. 6: Shut valves on exterior hose bibs, or faucets and drain the lines completely. Keep the spigots open to prevent pressure build up. 7: Water Leak Detectors can be a smart investment. Not only can they save you from having to deal with restoration and repair costs they can also LOWER your home insurance premium (check with your insurance carrier). If the pipe is NOT BROKEN: Use a hair dryer, heat lamp, space heater or electric lamp. Focus the heating where the pipe comes in from the wall. Monitor the process regularly and once water flows from the faucet you are done. DO NOT use OPEN FLAME to thaw your pipes. This is a catastrophe in the making and, well, just DON’T DO IT! Call the plumber not the Fire Department. 2: If you are in the Baltimore, MD area CALL US. (if you are not in our service area contact your local plumber immediately).